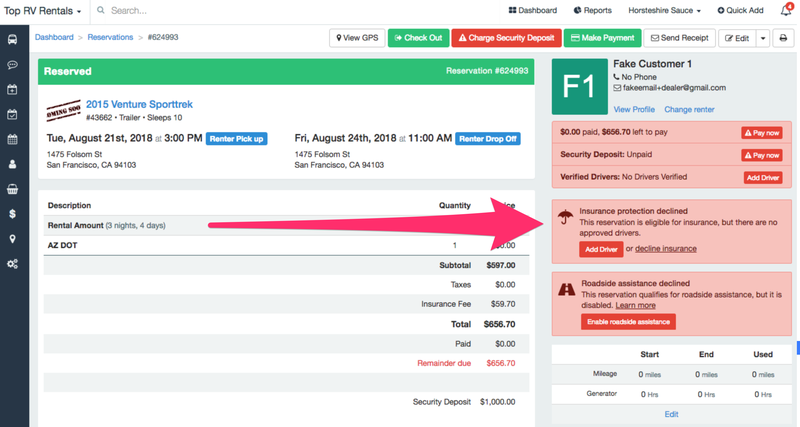 On the right side of the reservation screen, there is a box that helps you understand what the status of insurance is on this booking. Remember, insurance can be enabled, and charged, but if there are NO APPROVED DRIVERS, then coverage is not approved. It's important to know, that when you see the Insurance box is red, continue reading to make sure you are fully aware of what the status is of the insurance coverage for this reservation. "This reservation is eligible for insurance, but there are no approved drivers. Add a driver or decline insurance"
When you see the above on a reservation, this means you've enabled insurance, but protection is not approved yet, because there are no approved drivers. What's the best way know if insurance is active and there will be insurance fees? 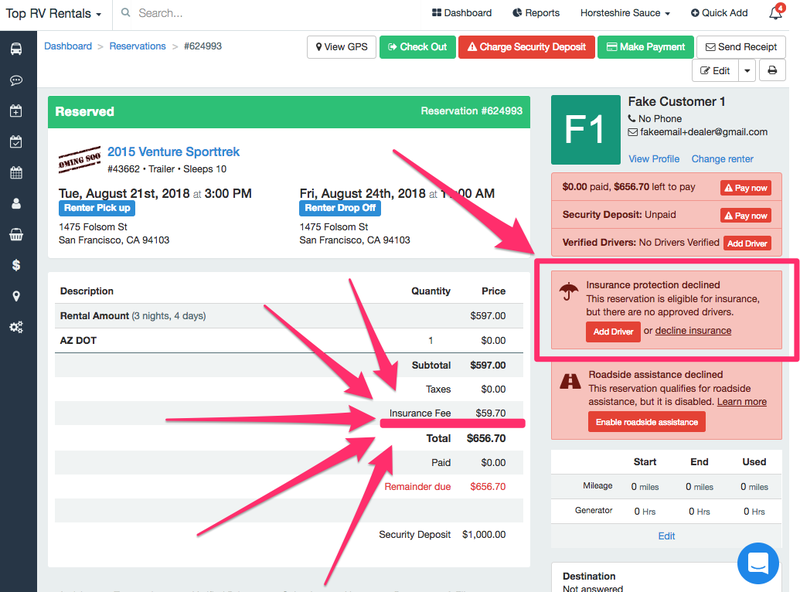 If you see the Insurance box is red, take a quick look at the reservation line items and ask yourself, "Is there an insurance fee being charged on this reservation?"